The previous owners installed this Moen Kitchen sink faucet. I love it except for the fact that sometimes the head does not stick to the base well and sometimes slips off. It’s magnetic and I’m wonder ing if there is a way to replace the magnets with some that are a bit stronger. Open to suggestions! 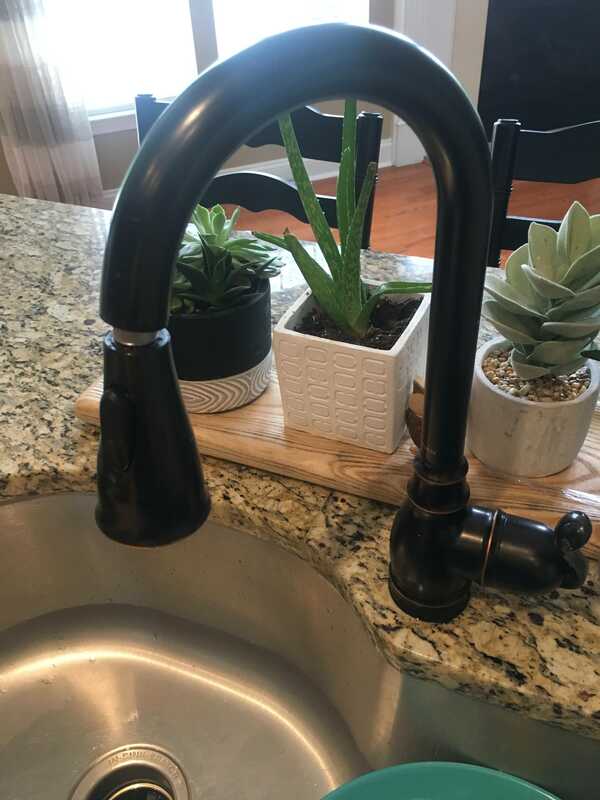 The previous owners installed this Moen Kitchen sink faucet. I love it except for the fact that sometimes the head does not stick to the base well and sometimes slips off. It’s magnetic and I’m wonder<img src="https://i.imgur.com/eI2vML4.jpg"></img>ing if there is a way to replace the magnets with some that are a bit stronger. Open to suggestions! The only solution is to purchase the original parts from Moen. Moen offers a lifetime warranty on their faucets, however this only applies to the original purchaser. You may buy parts for your faucet from Moen at 1-800-Buy-Moen or Moen.com. They will need your faucets model number, this can be an issue if you do not have the original installation info and parts list. I would go to moen.com and look for the model you have based on the images shown on line, then call for specific parts information. Moen customer service will assist you if you do not see a similar model on line. Actually I have the identical faucet and have been quite impressed with it. It's Moen Arbor. What I might suggest is making sure the weight on the sprayer hose is in the correct location. If you're not sure where it should be, check the owners manual. If you don't have the manual handy, it can be downloaded from Moen's website. While you're under the sink, make sure that nothing is in the way of the hose, a bottle of dish detergent or it's catching on the supply lines. If none of those fixes you problem, give Moen a call. I recommend Moen faucets because their customer service is fantastic.